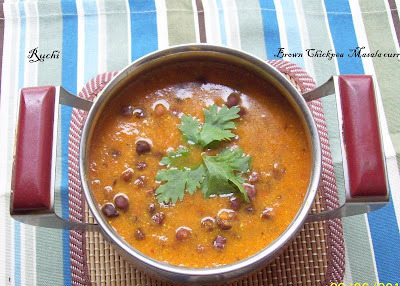 Brown Chick Peas Curry or Kala channa masala curry is a homey dish which is very nutritious and a rich source of protein and fiber .It is my favorite legume which is a regular preparation at home. 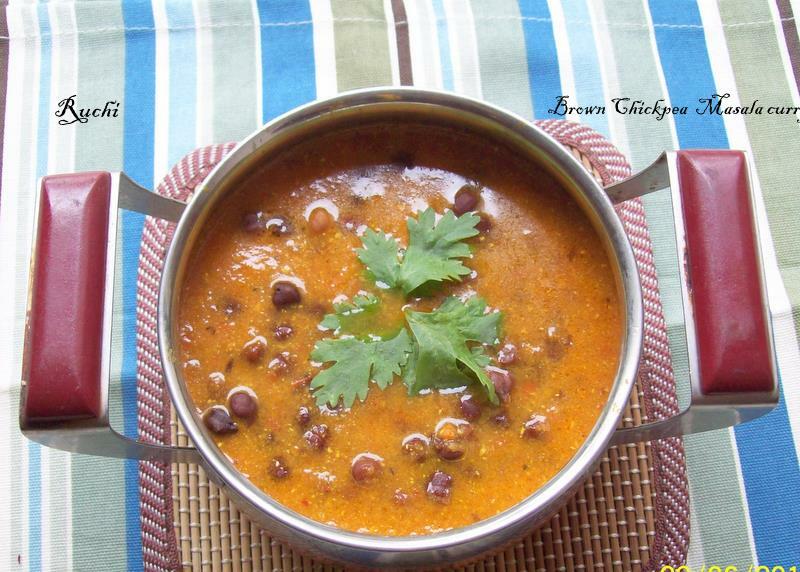 We love this dish with some hot rice or with chapatti. Simple to make and with abundance flavor. 1.Wash and soak the Kala Channa overnight (at least 8 hours).in lots of water. 2.In a pressure cooker, add the Kala Channas, Water and 1 tsp of Salt and cook on high. 3.Allow it to whistle 3 times and then lower heat to a simmer and cook for another 45 minutes. 4.Once done, turn off the flame and Check to see the Channas are cooked. 5.Heat the oil in a large saucepan over a medium heat. Add the bay leaves and cinnamon and fry, stirring constantly, for 30 seconds, or until they splutter. Watch carefully so they do not burn. 6.Add the onions and fry, stirring frequently, for 6-8 minutes until they are golden brown. 7.Add the ginger garlic paste and fry. Then Add tomato puree and fry again for 4 mins. 9.Mix well and add 1 tsp of Salt and cook till the oil separates from the mixture. 10Then Add the cooked chickpeas and mix well and cook for 10 mins. 11.Add Coriander for garnishing Serve hot with Rice, Chapatis or Rotis. This is a delicious gravy!!!! Beautiful pair for rotis, delicious curry.. I love kala channa over the white ones in the masala,love it!